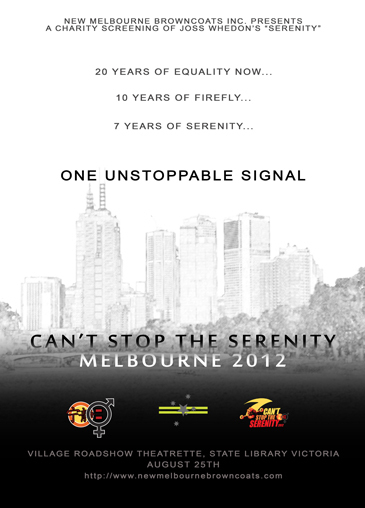 We’re excited to be involved with Can’t Stop the Serenity – a global charity event featuring “Serenity”. This is our seventh year, and we had a fantastic time! Julia, Leanne, Michael, Mick, Craig, Chris, Jen, Alex, Clare, Claire, Liz, Daniel, Liam. If you’d like to help out at any of our events, we’d love to have you along. Please let us know what skills you have so we know how best you can help!